Would Playing With Wingels Jump Start Hertl? 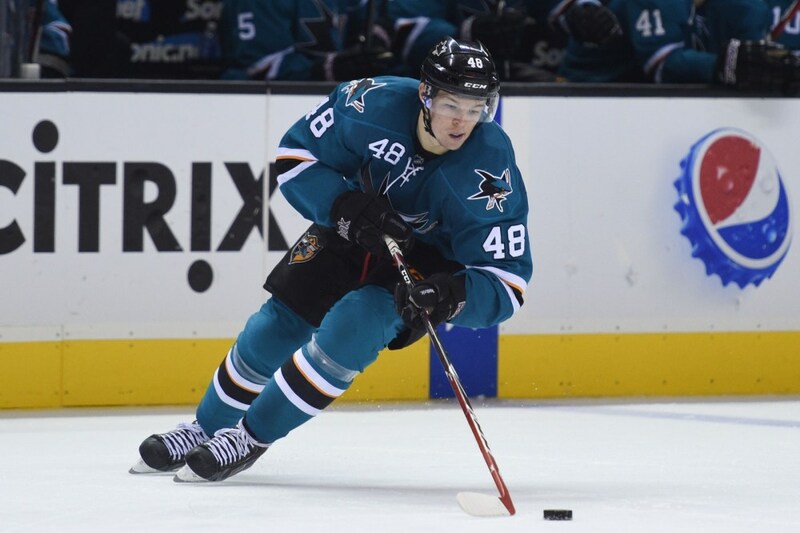 Through his first 12 games, last year’s rookie sensation Tomas Hertl had just two goals and one assist. In other words he was on pace for just 20 points over 82 games. While certainly not a burner by any means, Hertl did look to have decent, Logan Couture-esque speed during his freshman season. Unfortunately as a sophomore Hertl looks like he has been skating in mud for most of the games. As colleague Kenneth Laws wrote last month, Hertl and Joe Thornton will miss Brent Burns on their line. While Thornton still looks great, Hertl has struggled. Perhaps part of the reason is playing with Thornton and Pavelski (not the fastest of skaters) has created limited space for Hertl to work with the puck. Thornton and Pavelski noticeably looked better with Nieto on their line at times this season. Perhaps Hertl fits better with at least one quick skating, physical player like a Brent Burns. 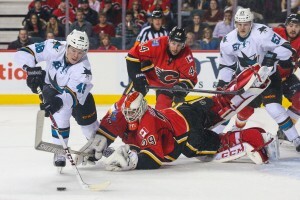 With Raffi Torres injured and Burns on defense, it has been evident that the Sharks forecheck isn’t the same. So with that in mind, what is the solution to getting Hertl’s game going? The 20-year-old Czech native started Saturday night’s game against the Islanders on the fourth line with Adam Burish and Andrew Desjardins. While that clearly isn’t the answer, (he didn’t even finish the game there) playing him with Tommy Wingels at even strength is the best solution on paper. In the first period Saturday Wingels set up Hertl for a power-play tally, just his third goal of the season. A line of Hertl, Thornton, Wingels is as close to Hertl, Thornton, Burns, stylistically as the Sharks can put together. While Wingels doesn’t have the size, he brings similar tenacity, speed, and rapid fire shooting that Burns was known for on that line. Wingels has jumped between the second and third lines this season but has yet to play on the top line with Thornton and Hertl, even though this trio was a popular choice in the twittersphere to start as the top line before the season started. While he has good size, Hertl isn’t a hard nosed player on the forecheck and is more of a cerebral type player. Playing with Thornton and Pavelski, you have three natural centers playing together. Allowing Hertl to play opposite a true winger could definitely help jump start his game. This move would also do wonders for the Sharks forward depth overall. It would allow Matt Nieto to return to the Patrick Marleau, Logan Couture line where he has great chemistry. Then Pavelski would slot in perfectly as center/wing on the third line, giving the Sharks an elite scoring third line that few NHL clubs can match. Perhaps it is the ever frequent sophomore slump that has just snagged Hertl down a bit. The Sharks’ coaching staff has seemingly tried all sorts of combinations to get him going but have surprisingly not tried him with Wingels. The Sharks’ right wing already has five goals in 12 games without playing with Thornton. He is certainly capable of being the next great right-handed scorer behind Glen Murray, Jonathan Cheechoo, Devin Setoguchi, and Joe Pavelski to feast on Thornton’s passing. Wingels’ hard nosed, gritty style on that top line could also rub off on Hertl and generate extra scoring opportunities for No. 48.